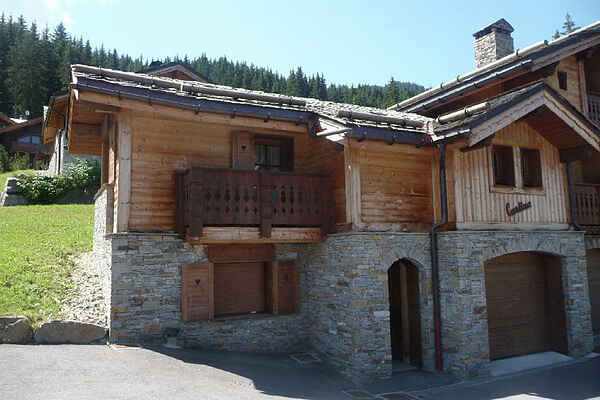 You will feel at home in this cozy chalet, located 100 meters from the ski slope. Enjoy the peace and comfort! There are two bedrooms, one of which is equipped with bunk beds. The kitchen includes a dishwasher and oven. So you can enjoy your vacation! And then the wax is still in the washer and dryer. In the garage where you can park your car, there is a heater for the boots, that's to have run fine after a day in the wet snow. La Tania is one of "the world's youngest ski resorts, built for the Olympic Winter Games in Albertville in 1992. With Courchevel and Meribel on the one hand, on the other hand is the middle of" the world's largest ski area. While many villages are well known in the Trois Valles to the unprecedented opportunities in terms of party, entertainment and crowds, La Tania is a quiet and pleasant village with many chalets, surrounded by forests.